Another cold misty morning at the lake. 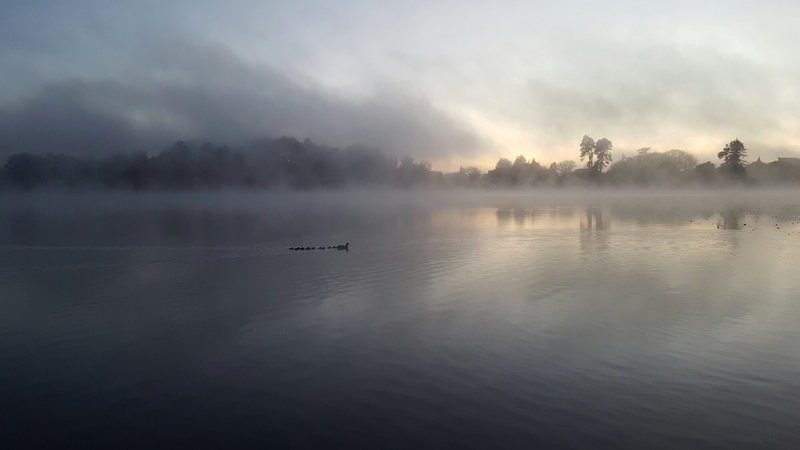 Ran 6km and never warmed up but the mist swirling around the lake made for very Turneresque landscapes. I almost didn’t take a photo but then spotted this mother duck out with her brood following behind her..